Few things have a greater long-term effect on your health and comfort than your indoor air quality system. Even in a culture obsessed with healthy living through diet and exercise, the purity of the indoor air we breathe is often overlooked. Because most people spend more time at home than in any other single location, it is always worth the investment to ensure that your indoor air quality and climate control system is serving your needs every day. 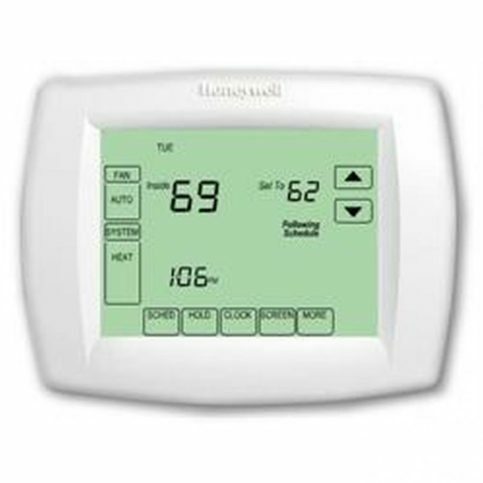 However, every home environment carries its own specific set of climate control features and issues. Add to this that air quality is not visibly detectable, and most ductwork and climate control systems are hidden, and you’ll find that the process of achieving satisfactory indoor air quality is complex and mysterious to most consumers. Fortunately, a qualified Alameda County indoor air quality contractor can assess the special needs of your home and offer an array of modifications or installations to ensure that the air in your home is as clean and comfortable as possible. How do you find the right contractor for the job? You can start by doing your own basic assessment of your home and your needs. Air quality contractors in Alameda County deal with a large variety of home air quality problems, but these issues fall into three basic categories: comfort, health, and energy efficiency. If your existing air quality system does not serve all of these areas to your satisfaction, you need not suffer through sub-par home air quality, and in the case of a toxic home environment, it may be downright dangerous to neglect the problem. Your first task, then, is to rate your system’s effectiveness in these three categories, and identify which you wish to improve. The most common service that air quality contractors provide is improving the comfort of a home environment. Few things affect the enjoyment of one’s living environment as dramatically as an improvement in temperature, humidity, and purity, and the comfort and well being provided by such air quality upgrades are invaluable. Industry studies routinely show that half of all homes contain rooms that are too hot or cold relative to the rest of the house, and basements are often 15 degrees cooler than the upstairs. Seasonal humidity and dryness also greatly affect the comfort of one’s home. Fortunately, these problems can all be remedied with energy efficient, lasting solutions that eliminate variations in temperature, even in the rooms are far from the climate control unit. 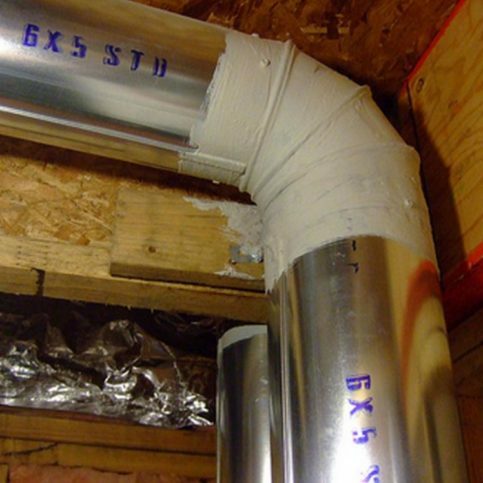 A common culprit in uneven heating or cooling is a leaky or inefficient duct system. The Department of Energy states that a typical duct system loses 25-40% of the furnace, heat pump, or air conditioning unit’s energy output. This surprising rate of inefficiency not only impairs comfort, but also has a dramatic effect on a utility bill. Fortunately, if your home has uneven heating or cooling, a licensed Alameda County air quality contractor can test and locate any duct leaks using an Infiltrometer. An Infiltrometer is a device created by the Department of Energy that tests how airtight your house is and identifies air leaks by creating a 15 MPH wind on all sides of your home. It only takes about an hour, and once leaks are pinpointed, they can be sealed using fiber-reinforced elastomeric sealants. This quick fix pays for itself by lowering utility bills, and provides the added benefit of evening temperature distribution throughout the house. A second remedy for improving temperature distribution is adding return air grills. 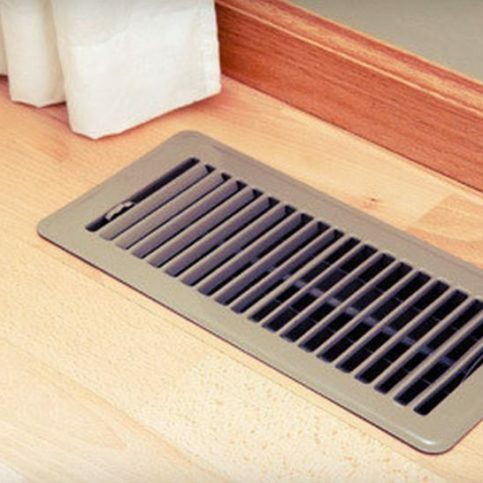 A central heating or air conditioning system utilizes two different kinds of vents to circulate air through each room: supply vents and return vents. The supply vents inject air that has been heated or cooled to the desired temperature, while the return vents take air from the room and heat or cool it to the desired temperature, after which it is passed through the ducts back into the room. A room with a supply vent but no return vent does not allow circulation. 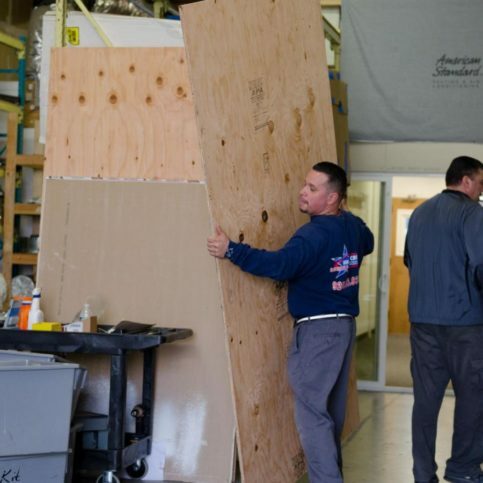 Instead, it causes pressure to build, cutting down on the amount of air that can get into the room, and pushing more air into other parts of the house. This creates a secondary problem, causing the heat or air conditioning system to shut off by creating a build-up of hot or cool air in only one part of the house, before less ventilated areas have been heated or cooled to a comfortable level. 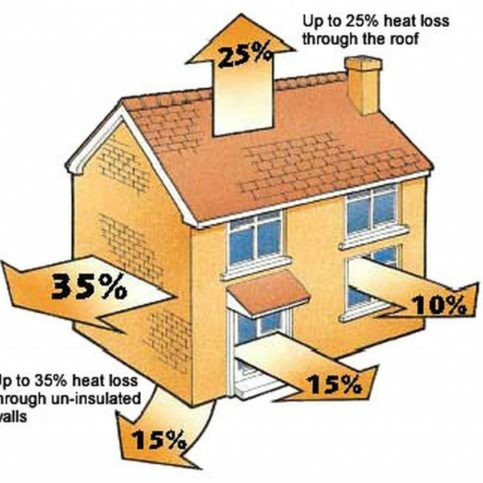 A third common cause of uneven temperature distribution is lack of proper insulation and the presence of thermal bypasses. 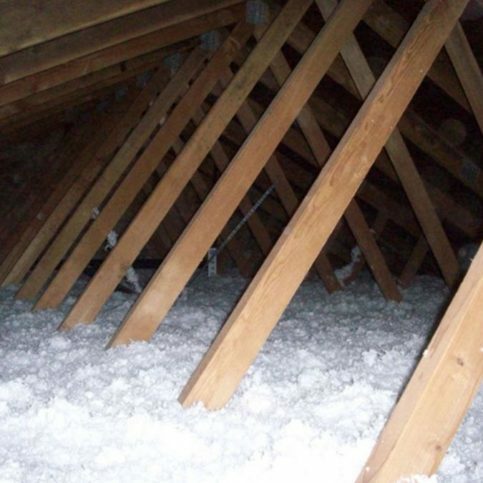 Most homes have at least one area that lacks enough insulation to properly maintain the temperature of the room. This is especially true of rooms near attics and garages. An Infiltrometer test will identify these low insulation areas, along with any gaps between walls, known as thermal bypasses. Thermal bypasses must also be sealed to avoid persistent loss of temperature stability. Another solution for improved comfort is a zoning damper system. Installed in the ductwork, this feature treats rooms on a case-by-case basis, keeping a constant flow of warm or cool air to areas of greater need (for instance, near a garage or attic), while shutting off air to areas that have already achieved the desired temperature. Finally, one of the biggest misconceptions about uneven temperature distribution is that it results from an HVAC unit that is too small. On the contrary, many temperature distribution problems can be solved by actually installing a smaller furnace or air conditioning unit. The reason for this is simple: if a unit is too large, it will cool or heat areas near a thermostat too quickly using a large influx of cool or warm air. This causes the unit to shut off before the farthest reaches of your home have been heated or cooled. By contrast, a smaller unit features a longer period of lower air output, but results in a more continuous even distribution of heated or cooled air. A peripheral benefit of this is that the longer running time of a smaller unit allows it to more effectively eliminate humidity, and actually results in lower utility bills. You can also ask your licensed Alameda County contractor about smaller high efficiency HVAC units with variable speed fans that adjust the output level as needed. These units may call for a higher initial expense, but will pay for themselves over time through added comfort and reduced utility bills. A second area that dramatically affects air quality and comfort in a home is the level of humidity, or alternatively dryness, depending on the season or climate. In areas of high humidity the most practical, cost effective solution is to reduce the number of moisture sources in the home. This calls for covering any dirt floors, capping sump pump pits, checking for air leaks in basement walls, storing firewood outdoors, and installing better exhaust fans in bathrooms. Second, humidity can be reduced using many of the same techniques contractors employ for improving temperature distribution—namely, improving the air tightness of a home, since during spring, summer, and fall in some areas, outdoor air is the biggest source of high humidity. This includes sealing any air leaks in walls, especially near garages and attics, and installing an appropriately sized air conditioning unit that will not shut down before dehumidification is complete. Alternatively, during the winter or in especially dry areas, a humidifier can provide additional comfort by infusing a desired amount of moisture into the air. Humidification systems can come as freestanding, single room units or as central units installed and distributed via your HVAC system. Such units have the added benefit, in winter, of saving money on heating costs, as humid air retains heat better than dry air. 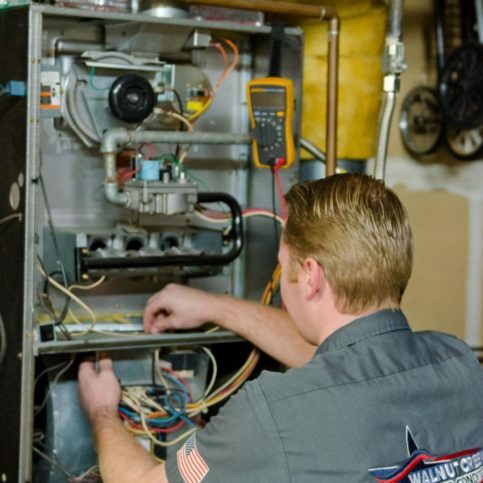 Your Alameda County air quality contractor will be acquainted with both the common problems and available solutions in Alameda County, and help direct you to an HVAC system that takes into account factors like climate, season, and personal preferences. While many prospective air quality customers hire contractors to help improve issues of comfort, specifically, which are the most easily detectable air quality issues, most of them discover in the process that poor ventilation or humidity control over the long run can adversely affect one’s health, and sometimes pose serious consequences. Insulation, pets, furnishings, the type of heating, the outdoor environment, and the occupant’s lifestyle habits all have a bearing on the safety of indoor air quality. But just as comfort can be dramatically improved through a variety of HVAC renovations, so can the safety of one’s home environment be improved. 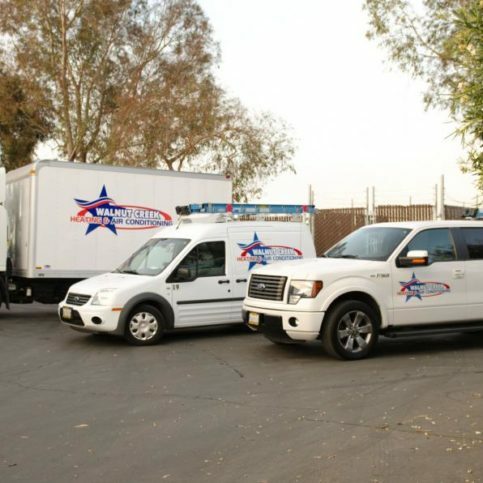 Your licensed Alameda County air quality contractor will provide you with all the options you need to ensure that the air you breathe every day is as clean and safe as possible for you and your family. The purity of your indoor breathing environment depends on many factors, including outdoor air, humidity, the presence of pets and smokers, and proximity to major thoroughfares. One of the best ways to ensure that the air you breathe is healthy and safe is installing an air purification system. Unlike a filtration system, which simply filters out airborne particles, a purification system uses ultraviolet light, ozone, or electrical charge to actually clean the air, removing irritants, contaminants, viruses, mold, and other elements down to 0.01 microns in size. In such a system, larger particles are first removed through filtration, then smaller particles are irradiated or electrically charged, eliminating them from the air or “magnetizing” them to a purification plate, from which they are removed through regular cleaning. This kind of system can also help your HVAC system function more efficiently, as it removes airborne debris and particles before they can clog up your ductwork. Ask your Alameda County air quality contractor about the options and special environmental considerations relevant to your particular home environment. One of the most common ways in which indoor air quality is compromised is through air leaks. However, contrary to popular belief, only 20% of a home’s air leaks are caused by windows and doors. 80% of all leaks come from improperly sealed garages, attics, crawlspaces, and basements, and chances are, the air that infiltrates a home through such leaks is not fresh outdoor air, but rather air contaminated by carbon monoxide, insulation fibers, mold spores, or radon gas. Once again, an Infiltrometer test will precisely locate these leaks, and allow your Alameda County air quality contractor to assess the best way to eliminate them. Another common culprit for contaminated air is recessed can lighting. These ceiling fixtures give dirt, dust, and insulation fibers a gateway into the living environment. A qualified air quality contractor can inspect and seal or repair many light leaks. 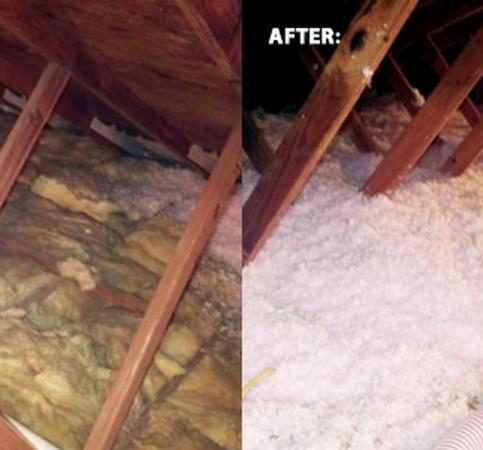 Attic openings pose a similar problem, but can be sealed through similar means as well. Pressure imbalances result from a lack of ventilation or air return mechanisms in rooms that are closed off from the rest of the house, or from unduly large exhaust fans and leaking ducts. 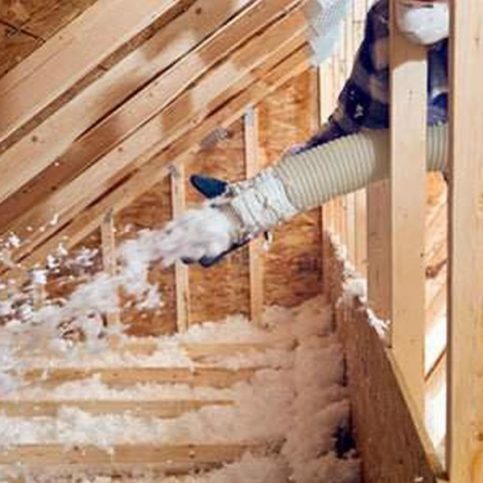 The result is often air pressure that is lower inside a section of the house than it is outside, which causes impure air to be sucked through air leaks in attics, garages, and basements. Such pressure balances can also backdraft appliances, causing carbon monoxide leaks or fire hazards. Indoor home air pressure that is slightly higher than outdoor air pressure is optimal, as it prevents contaminated air from flowing in through leaks or porous materials. New homes, by contrast, may be excessively air tight, inhibiting adequate circulation of fresh air. This issue can be remedied through improved mechanical ventilation that can range from simple powerful exhaust fans that remove moisture and odors to more complex and energy efficient units. One example is a heat or energy-recovering ventilator, which preheats and cools incoming air using the indoor air that it exhausts. A ventilating dehumidifier is a second option, filtering, dehumidifying, and injecting outside air into the home environment for improved circulation. A final important step for optimizing indoor air purity and safety is installing an improved air filtration system. This may include upgrading replaceable filters in your existing system, or purchasing freestanding, single room units. The best filtration method, however, is a permanent high efficiency air filtration system. This uses permanent filters that remove more impurities and invisible particles than replaceable filters, and are often lower maintenance, usually requiring only one cleaning per year. Though more expensive, they are also more energy efficient and over the long run, cost less because of the reduced utility burden. Because long term health problems can result from both too much and too little humidity, it is essential to maintain a healthy amount of moisture in your home environment. The CDC, EPA, and AMA all recommend humidity between 30-50% year round. During winter or in dry climates, lack of humidity can contribute to sore throats, dry sinuses, and infections. In this situation, your contractor will first seal all air leaks, then install a central humidification system that will maintain a constant, comfortable level of humidity. On the other hand, excessive airborne moisture during summer or in wet climates not only causes discomfort, but also increases allergens, mold, and dust mites. Indoor toxic mold carries especially serious consequences, and prolonged exposure can cause allergic reactions, toxic reactions, asthma, infections, and respiratory damage. Mold will keep coming back unless you identify the source, which could be any organic material, from drywall paper, to wood to a food source. If your indoor environment is too humid, all air leaks should be sealed, and an enhanced dehumidification system should be installed, either as a feature of a new higher-powered dehumidifying air conditioning unit or as an independent ducted dehumidification system. Such leaks are virtually undetectable without the proper equipment and can lead to fatigue and chest pain at low levels, and impaired vision, headaches, dizziness, nausea, and death in high concentrations. The typical consumer CO detector only lasts 2-4 years and gradually loses its effectiveness. A qualified Alameda County air quality contractor will have the equipment to detect and locate even the smallest CO leak, eliminating this common home health hazard. 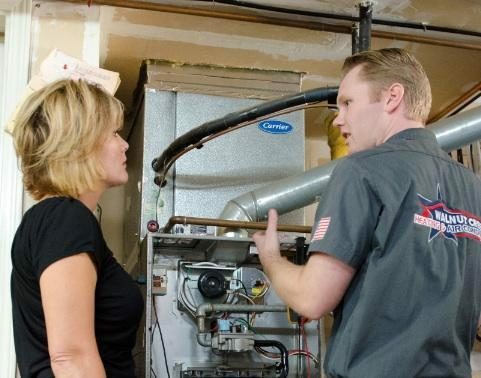 Have a trained professional perform an annual inspection of your home to tune-up and clean any central heating systems. Asbestos is a naturally occurring mineral that was prevalent in insulation, and in many homes built before the 1970s, asbestos is often found around steam pipes, boilers, furnace ducts. It can also be used in vinyl flooring, roofing, and siding. A common misconception is that the presence of any asbestos whatsoever poses a health hazard. In fact, the danger of asbestos only arises when it is tampered with or deteriorates, which releases asbestos fibers into the air. Airborne asbestos fibers increase the risk of lung cancer and cause scarring of the lungs. If you suspect your home contains asbestos and you are unsure of the condition of the material, the best thing to do is leave it alone and call an air quality professional who can assess the situation and provide removal services if necessary. Many of the repairs and installations that improve the safety and comfort of your home air environment will also improve your air quality system’s energy efficiency as well. In addition to these steps, several maintenance procedures can greatly reduce your utility bills. In anticipation of extreme weather, before winter or summer, consider having your climate control unit tuned up. 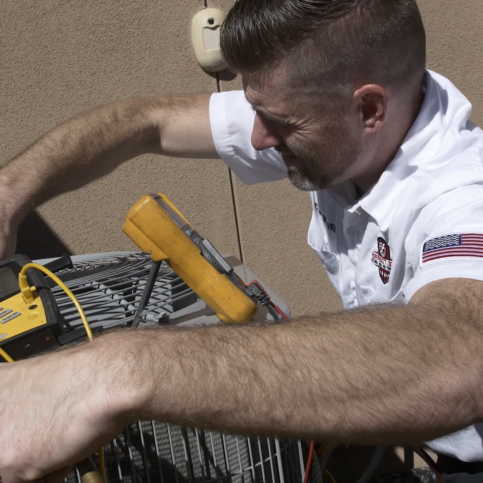 This routine maintenance will ensure that your unit does not break down mid-season, and provides the most efficient climate control service to you. Your system may need to be cleaned, filters may need to be replaced, the ignition, exhaust, and blower systems should be tested, fan belts should be inspected and adjusted, and all safety sensors should be tested. Another important maintenance step is duct inspection and cleaning. Your ductwork is the delivery system for cooled or heated air, and if it is dirty or blocked, it cannot deliver air efficiently. The ductwork in many homes is plugged with years of built up mold, pet dander, dust, dirt, and airborne debris. 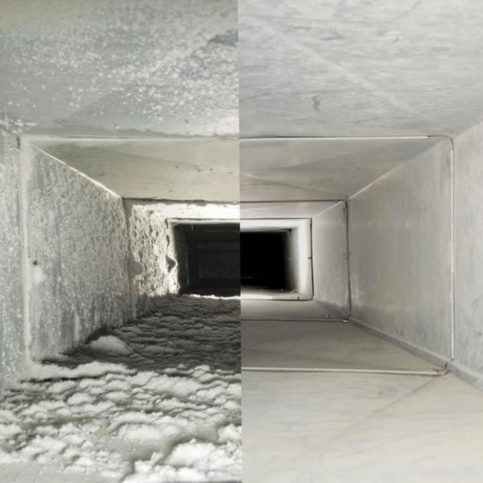 Your ducts should be checked at least every two years for defects and cleanliness, and your entire duct system should be cleaned every 5-7 years, depending on indoor air quality factors such as the age of your home or the presence of pets. Just like automobiles or household appliances, heating or cooling systems experience wear and tear and reduced effectiveness with age. In addition to regular maintenance on your existing system, if your HVAC system has more than 12 years of use, and you don’t intend to sell your home for a few years, a new system will provide a safer, more comfortable and reliable alternative, and can be up to twice as energy efficient, saving you money in the long run. As you can see, you have a huge range of air quality system repairs, upgrades, and replacement options at your disposal, and only you can assess which best meets your needs and fits your budget. A good way to start assessing your options is to request an Infiltrometer test from a local Alameda County air quality contractor. This simple test is relatively inexpensive, takes about an hour, and will identify air tightness and circulation problem areas that cause reduced comfort, safety, and efficiency. Once you obtain the results of your Infiltrometer test, you will know whether the biggest culprits are leaky walls, an oversized heating or air conditioning unit, or poorly functioning ductwork. The licensed air quality contractor can talk you through a range of options for addressing any problems that the Infiltrometer test reveals. Once you better understand the scope and range of solutions for your particular air quality project, it’s time to develop a budget. The best place to start is Diamond Certified, which provides a lengthy list of HVAC units and manufacturers. As you research online or in your local Alameda County home improvement store, keep a comprehensive list or spreadsheet detailing estimated materials needed, sources, and prices. Be sure to look for Alameda County contractors that possess the necessary experience and contractor’s licenses for the specific type of work you need. All Alameda County air quality contractors must be licensed by the California State Contractors License Board. 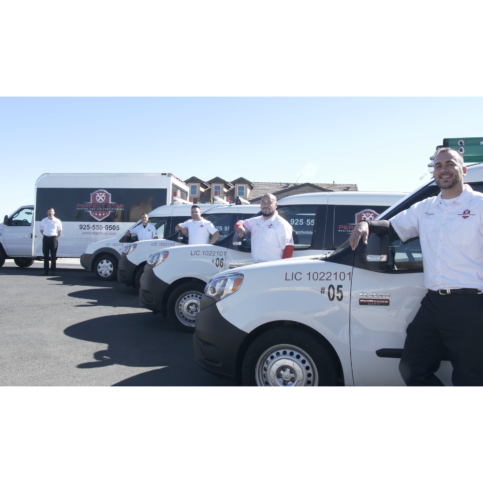 The CSLB offers 43 different license classifications. You can verify a prospective contractor’s current license on the CSLB website. Licensed Alameda County air quality contractors service all the major Alameda County cities, including Oakland, Fremont, Hayward, Berkeley, San Leandro, Alameda, Union City, Pleasanton, Newark, and Dublin, and smaller cities like Albany, Ashland, Berkeley, Castro Valley, Cherryland, Dublin, Emeryville, Fremont, Hayward, Komandorski Village, and Livermore. In addition to this, you can request references from previous customers, which go a long way in providing you the information you need to make the best-informed contractor selection. You are the customer. 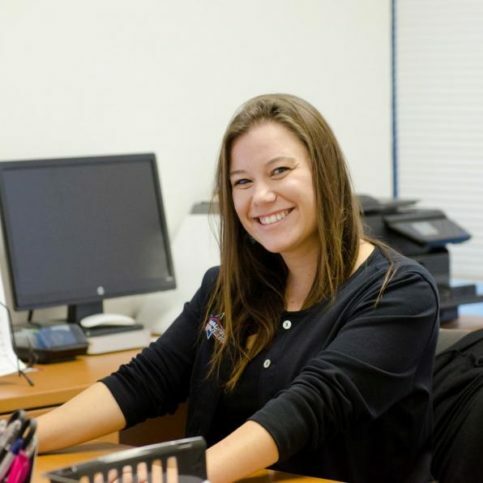 If your goal is to choose a air quality contractor that will deliver high customer satisfaction and quality, you’ll feel confident in choosing a Diamond Certified air quality contracting company. 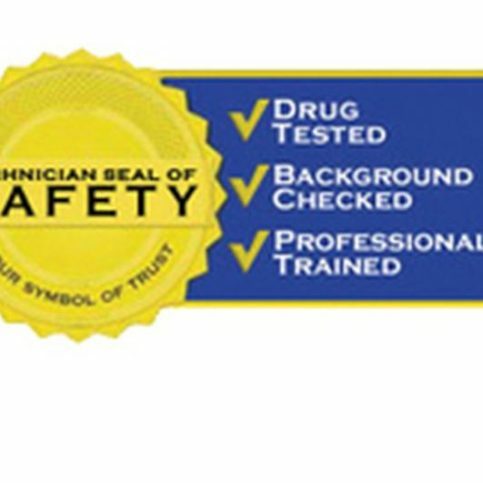 Each has been rated Highest in Quality and Helpful Expertise® in the most accurate ratings process anywhere. And you’re always backed by the Diamond Certified Performance Guarantee. Under the California Building Code, no building or structure can be altered, repaired, or improved without obtaining a permit. Codes vary greatly by city and county, so you can find out more about your specific Alameda County air quality project on the CSLB website, which details requirements by city and county. In addition, your licensed Alameda County air quality contractor can help you identify whether your project requires a permit and how to obtain a permit, if necessary. Why Trust Diamond Certified Indoor Air Quality Companies Rated Highest in Quality and Helpful Expertise®? Whether you want to add more comfort to your home environment or ensure proper filtering and ventilation, a Diamond Certified indoor air quality specialist can provide a solution that fulfills your particular needs. Chris Donzelli is owner of Perfect Star Heating and Air Conditioning, a Diamond Certified company. He can be reached at (510) 244-4356 or by email. A: The San Francisco 49ers, the San Francisco Giants and the Golden State Warriors. A: All kinds, from classic rock to country to hip-hop. A: Melo’s Pizza & Pasta in Brentwood. However, if we’re going to splurge, it’s Ruth’s Chris Steak House in Walnut Creek. A: Italy. I’m interested in the history, especially since my ancestors came from there. Brian Waskow is a 37-year veteran of the HVAC industry and owner of Hometown Heating & Air Conditioning, a Diamond Certified company since 2013. He can be reached at (925) 456-4967 or by email. CONCORD — For most people, retirement means the end of a career, but for Brian Waskow, it was also the beginning of another. “I had a ‘20 years and out’ deal working as a refrigeration mechanic for the plumbing and pipe fitting union, which enabled me to retire in my early 40s,” he relates. “Since I was still fairly young, I wanted to find another industry to get involved with, so I answered a newspaper ad posted by a local heating and air conditioning company. 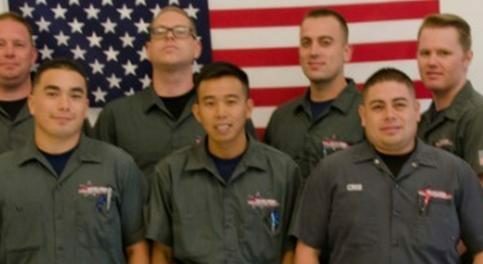 As a former refrigeration mechanic, I found the HVAC industry to be a natural transition.” Over the next 12 years, Brian would learn from “some of the best mentors in the business” while working for “some of the most successful companies in the Bay Area,” before founding Hometown Heating & Air Conditioning in 2012. Q: Would you ever skydive? A: I already have, actually. On one of my birthdays, my daughters and I went skydiving in Monterey and landed on the beach. It was a wonderful experience. A: An early bird—I’m at the gym at 5am most days. Q: If you could talk to anyone living or dead, who would it be and why? A: General Douglas MacArthur, just because I think he’s a fascinating historical figure. 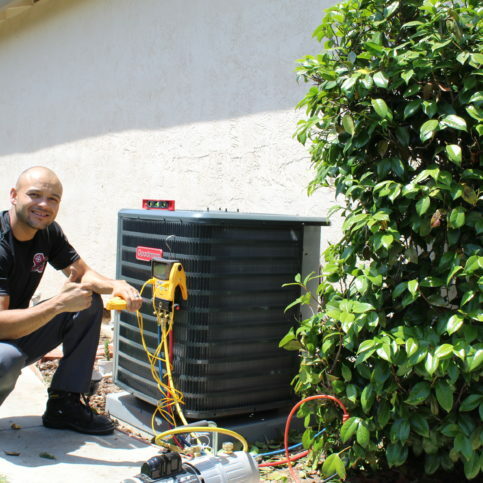 Lead Install Technician Gilbert Caceres installs a new HVAC system in Antioch. 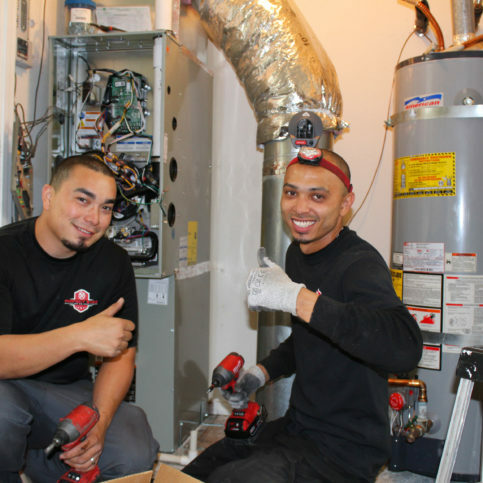 Lead Install Technicians David Mendoza (L) and Gilbert Caceres install a new HVAC system in Blackhawk. 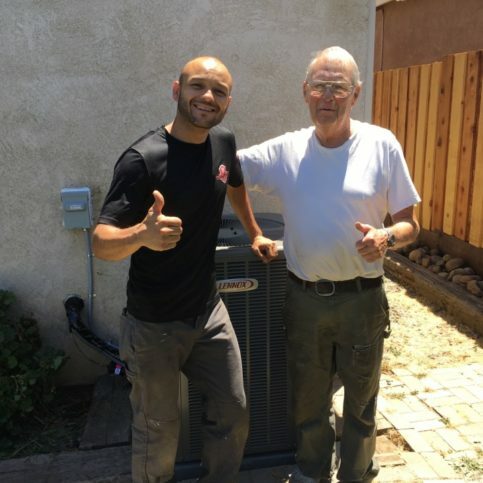 Lead Install Technician Gilbert Caceres poses with a satisfied client after installing a new Lennox heating and air conditioning system. 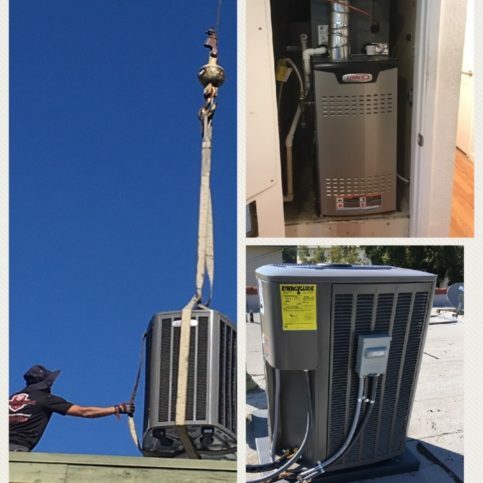 Perfect Star Heating and Air Conditioning used a crane to install this full Lennox system. A Hometown Heating & Air Conditioning technician explains the workings of a customers HVAC system. 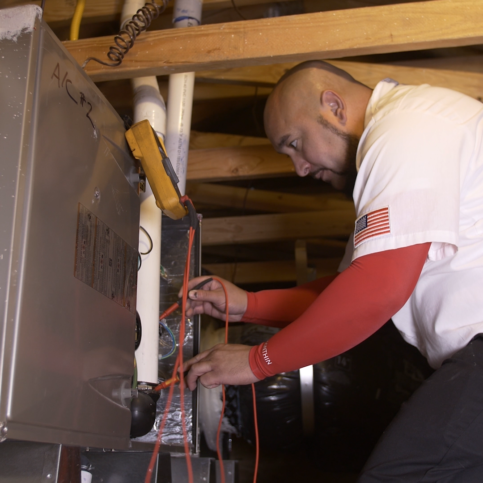 Senior Comfort Adviser Danny Mendoza services a client’s furnace in Brentwood. 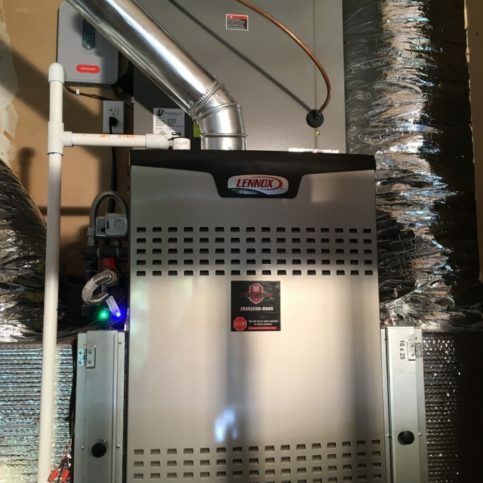 Perfect Star Heating and Air Conditioning installed this 5-ton Lennox high-efficiency system with Honeywell zoning and ultraviolet purification combined with electrostatic filtration. Owner Chris Donzelli services a client’s air conditioning unit in Brentwood. Finding the right Alameda County air quality contractor for your project requires you to ask a few simple questions. Air quality and HVAC contractors have unique qualifications, specializations, and experience, so it is important to find a contractor that has the expertise in your specific area of need and will provide you with quality work in a timely manner. Has your company earned and maintained a Diamond Certified rating? How much experience does the air quality contractor have? 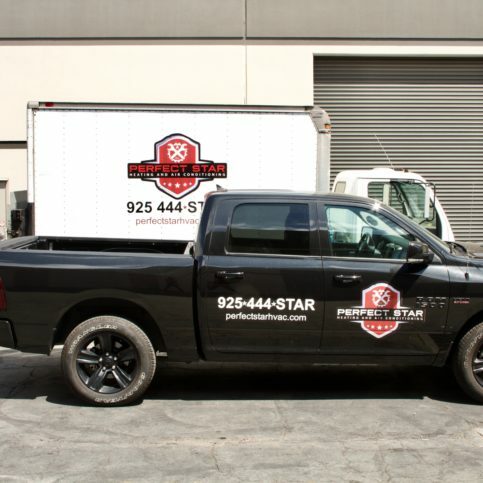 Is the air quality contractor experienced in and equipped to perform every aspect of your project (for instance, duct cleaning, sealing, air conditioning unit installation, and Infiltrometer testing)? Does the contractor have any technical input on your specific project? What specific features would best accommodate your specific needs? What are the relevant considerations with regards to the age, size, and layout of your home? Does the contractor have references I may contact? What is the contractor’s timeline for bidding, contracting, and completing the work? Does the air quality contractor have current workers’ compensation and liability insurance coverage? Will the contractor provide a free written estimate? How does the contractor price parts and labor? What type of warranty does the contractor provide? Will permits be needed for any installations or modifications? If so, who will be responsible for getting them? Do the contracting company’s employees actually complete the work, or do they hire subcontractors for certain aspects of the job? Can the air quality contractor complete all phases of the job? How and when do the contractors clean up after their work? Will the contractors provide a written contract detailing costs, payments, and a plan for necessary unforeseen modifications? It’s best to choose a Diamond Certified air quality contractor because all certified companies have passed an in-depth ratings process that most other companies can’t pass. 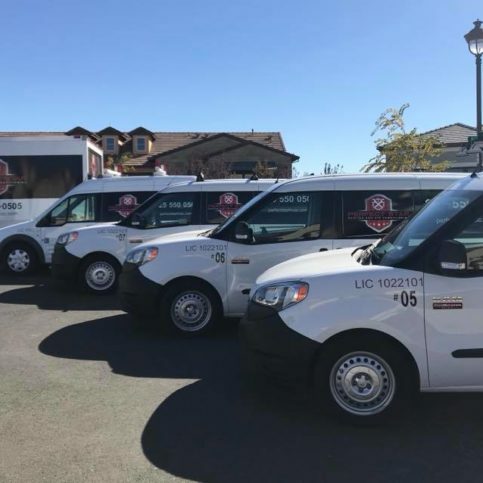 If you want quality from an air quality contractor in Alameda County and the Greater Bay Area, you can have confidence choosing a Diamond Certified company. Diamond Certified reports are available online for all certified companies. And you’ll never be fooled by fake reviews. That’s because all research is performed in live telephone interviews of actual customers. If you can’t find a Diamond Certified air quality contractor within reach, you’ll have to do some research on your own. If you do, it’s wise to call some references provided by your air quality contractor. Keep in mind, though, that references provided to you by the contractors themselves are not equal in value to the large random sample of customers surveyed during the Diamond Certified ratings process. Instead, contractors will likely give you a few customers to call that they know are satisfied. Request a list of the contractor’s five most recent customers and contact them with questions about their experience with the contractor and satisfaction with the finished product. Now that you have all the available information in front of you, including estimates, references, credentials, and if available, the endorsement of Diamond Certified, you’re ready to select the contractor that provides the best fit for your air quality project. Which contractor is able to complete the work within your desired time frame? After you have discussed your air quality needs in detail with prospective licensed Alameda County contractors, you should obtain a complete, written estimate of charges for all labor and itemized costs of all materials involved. This may include sealants, cleaning services, Infiltrometer testing, new filters, and brand new heating, air conditioning, or dehumidification units. Be sure to also get an estimate of labor hours for each phase of the project along with the cost per hour. Once you’ve decided which air quality contractor best suits your needs, the last step before work begins is to negotiate and sign a contract. A contract is a written legal agreement that outlines and protects the interests of both parties involved in the project. This indispensable step will make sure that both parties are clear about what a job will entail in costs, payments, and timeframe. Your contract should detail how and when the work will be done, which materials are required, and how much each item costs. A good contract can spare you legal headaches down the line. Start your contract by making a list of all responsibilities of both parties. For example, is the contractor in charge of purchasing and moving materials? Who is going to obtain the permits, if necessary? Next, solidify the agree-upon price for all the required materials and labor. This is where you can refer to your preliminary pricing research. 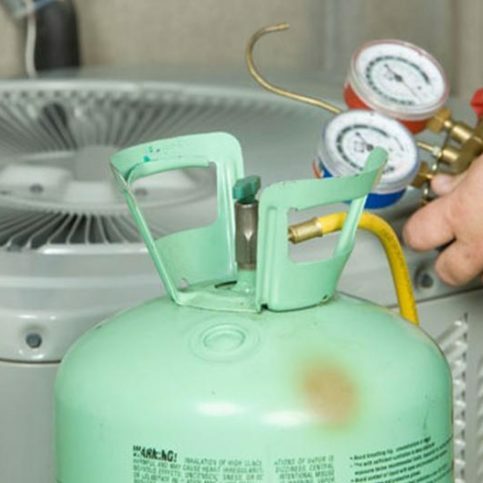 This list may include sealants, cleaning services, Infiltrometer testing, new filters, and brand new heating, air conditioning, or dehumidification units. If you found materials cheaper elsewhere, tell your contractor where. Also, don’t be afraid to refer to estimates that other contractors provided you, if they are lower than the contractor you’ve selected. This can help in negotiating a better price for installation and cleaning services. Finally, review the estimate your chosen Alameda County air quality contractor has provided and recommend any changes. Be sure to include a clause dictating that you wish to approve any costs above the agreed-upon amount. Finally, a guarantee of the quality of the work and all warranty time periods should be specifically noted. Once you have settled on a cost that fits your budget, a timeline in which the work is to be completed, and a schedule for submitting payments, your contractual agreement is ready and your contractor can begin your air quality improvement project. How Can You Be a Good Alameda County Air Quality Company Client? It’s your air quality contractor’s responsibility to provide you with quality services using the best possible installation techniques. But you play a big part in the success of your air quality improvement project, too. Here are some steps to ensure that you’re a good customer when hiring a Alameda County contractor. Before you hire an air quality contractor in Alameda County restate your expectations and goals, and reiterate to the representative your understanding of the agreement. Most problems with local contractors occur because of a breakdown in communication. By being clear about your expectations and theirs, you can avoid most conflicts. Be sure your service representative has a phone number where they can reach you at all times while they’re working on your project. The work will move along more smoothly if your Alameda County contractor can reach you for any necessary updates, questions, or work authorizations. Why would you want to be a good customer? 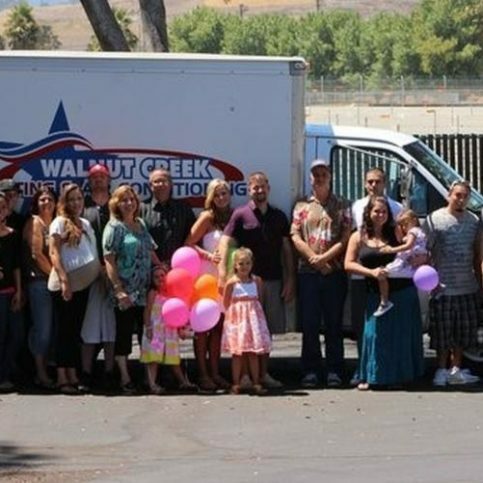 Air quality contractors in Alameda County appreciate customers who are straightforward, honest, and easy to work with. Things may very well go more smoothly and any problems may be more easily resolved because your good behavior will help create an environment conducive to a good relationship. The last step in your Alameda County air quality improvement project is to make sure that the work you receive is the work you desired. It should be visibly apparent if your contractor has installed a heating, air conditioning, or dehumidification unit that is different from what you selected or that do not meet your specifications. In addition to this, be sure to inspect that all parts are in working order. Check buttons, thermostats, and filters to ensure all new materials are functioning properly. If you notice odors or don’t see an improvement in the temperature distribution, air purity, or humidity over time, follow up with your contractor and let him or her know. Ask to keep copies outlining the details of all warranties and guarantees that apply to both the materials used in your air quality project and the service provided. Air quality projects address a wide range of areas and problems, from duct cleaning to asbestos removal. This immensely useful test is often the first step in air quality improvement. An Infiltrometer is a device created by the U.S. Department of Energy to tests air tightness and identify air leaks. It is set up in an outside doorway and creates a 15 MPH wind on all sides of your home, using sensors to determine the precise locations of any internal air leaks. The test only takes about an hour, and once leaks are pinpointed, they can be sealed using fiber-reinforced elastomeric sealants. This quick fix pays for itself by lowering utility bills, evening temperature distribution throughout the house, and preventing contaminated air from infiltrating your home. One of the best ways to ensure that the air you breathe is healthy and safe is installing an air purification system. Unlike a filtration system, which simply filters out airborne particles, a purification system uses ultraviolet light or electrical charge to actually clean the air, removing irritants, contaminants, pollutants, germs, viruses, mold, and other elements down to 0.01 microns in size. In such a system, larger particles are first removed through filtration, then smaller particles are irradiated or electrically charged, effectively removing them from the air. Your ductwork is the delivery system for cooled or heated air, and if it is dirty or blocked, it cannot delivery air efficiently. 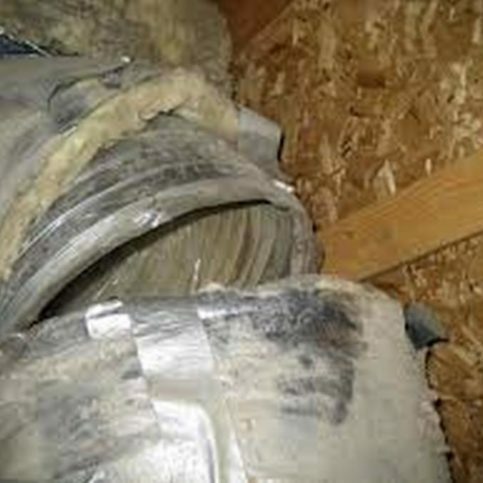 The ductwork in many homes is plugged with years of built up debris, mold, mildew, pet dander, dust, and dirt. Your ducts should be inspected at least every two years for defects and cleanliness, and your entire duct system should be cleaned every 5-7 years, depending on indoor air quality factors such as the age of your home or the presence of pets. 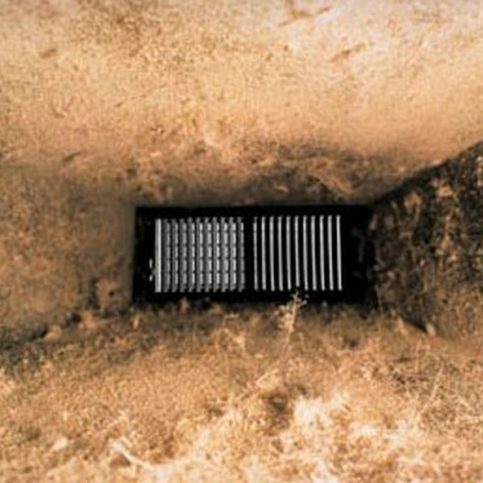 Air duct leaks are common, and result in a drastic decrease in HVAC efficiency and much higher utility bills. Similarly, improperly sealed garages, attics, and thermal bypasses allow outdoor air to leak into your indoor environment, compromising temperature distribution and control. Your Alameda County air quality contractor can locate any leaks using an Infiltrometer test, then seal them using fiber-reinforced elastomeric sealants. This quick, relatively inexpensive fix pays for itself by lowering utility bills, and provides the added benefit of evening temperature distribution throughout the house. In addition, they help eliminate uneven temperature distribution, improve ventilation, and can reduce pressure imbalances. If your HVAC system has more than 12 years of use, and you don’t intend to sell your home for a few years, a new system will provide a safer, more comfortable and reliable alternative, and can be up to twice as energy efficient, saving you money in the long run. Such leaks are virtually undetectable without the proper equipment and can lead to fatigue and chest pain at low levels, and impaired vision, headaches, dizziness, nausea, and death in high concentrations. The typical consumer CO detector only lasts 2-4 years and gradually loses its effectiveness, leaving you vulnerable to undetected leaks. A qualified Alameda County air quality contractor will have the equipment to detect and locate even the smallest CO leak, eliminating this common home health hazard. Have a trained professional perform an annual carbon monoxide inspection of your home. Pressure imbalances can result from a lack of ventilation or air return mechanisms in rooms that are closed off from the rest of the house, or from unduly large exhaust fans and leaking ducts. This causes impure air to be drawn into the room through any existing air leaks, or prevents even temperature distribution and air circulation. Having an appropriate balanced number of air returns and sends eliminates pressure imbalances and greatly improve air circulation and quality. They also help dehumidify and filter, likelihood the presence of mold and mildew. A: Diamond Certified helps you choose an air quality contractor with confidence by offering a list of top rated local companies that have passed the country’s most in-depth rating process. Only air quality contractors rated Highest in Quality and Helpful Expertise® earn the prestigious Diamond Certified award. Most companies can’t pass the ratings. American Ratings Corporation also monitors every Diamond Certified company with ongoing research and ratings. And your purchase is backed by the Diamond Certified Performance Guarantee, so you’ll feel confident choosing a Diamond Certified air quality contractor. A: Asbestos was used in many homes built before the 1970s, often found around steam pipes, boilers, and furnace ducts. It can also be used in vinyl flooring, roofing, and siding. A common misconception is that the presence of any asbestos poses a health hazard. In fact, the danger of asbestos only arises when it is tampered with or deteriorates, which releases asbestos fibers into the air. A: This depends on the nature of your project. An Infiltrometer test only takes about an hour, while a complete HVAC system overhaul can take several weeks. 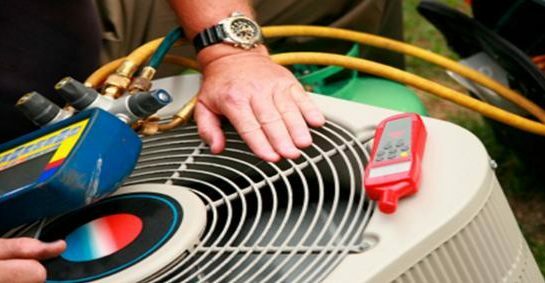 Expect simpler procedures like air conditioner installation or duct cleaning and sealing to take no more than 2-3 days. Add to this a few weeks of additional product selection and shipping time. 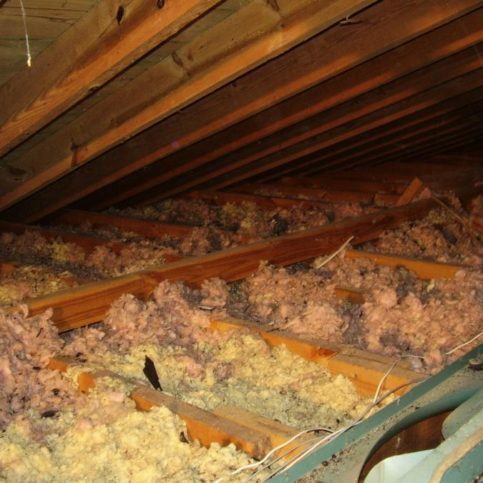 A: Depending on the environment you live in, your ducts should be inspected every 2-3 years and cleaned every 5-7 years. The older the home, and the more pets and smokers present, the more frequently the ducts should be cleaned. Most HVAC units begin losing efficient functionality after 10-12 years. Your qualified contractor can assess condition and efficiency of your unit and recommend repairs or upgrades. A: Qualified, licensed air quality contractors will definitely offer expertise in the decision-making process, steering you clear of manufacturers that may not fit your budget or quality criteria, and lending their advice on various features and types of air quality systems. They will also know the ins and outs of obtaining building permits. A: Once again, this varies widely, according to the nature of your project. An Infiltrometer test is often complimentary if you purchase other services from the contractor. 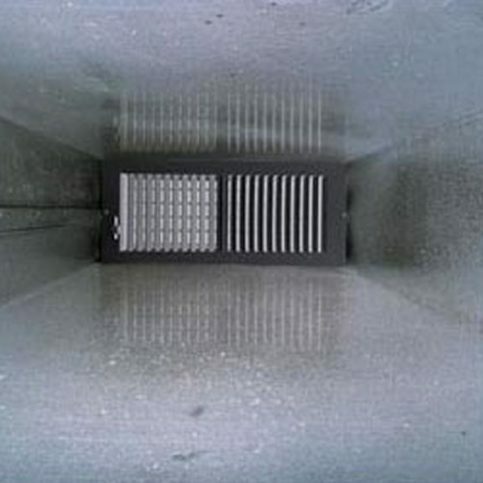 A duct cleaning can cost between $100-1000, depending on the size of the area and the kind of equipment used. An air conditioning unit typically costs between $1500-5000, depending on the number of enhanced features and the size of the home area. A: Most contracting firms will require 30-50% up front at the time the contract is signed, an additional 30-40% upon delivery of the materials, and the balance upon completion. A: Many contractors guarantee their work for one to five years after completion of an installation. 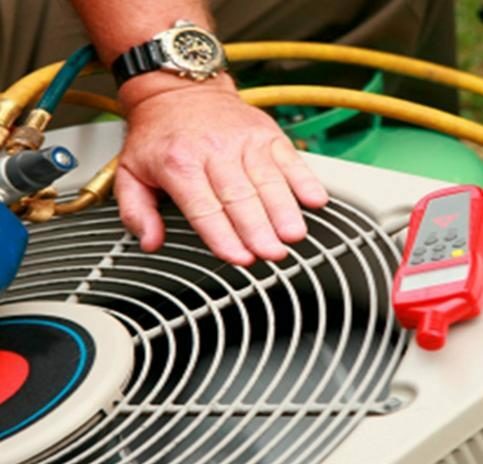 You can expect most heating units to come with a warranty of up to 20 years, while air conditioning units typically have shorter 10-year warranties. Warranties on purification and humidification or dehumidification systems vary widely.